Fans seem to be buzzing with excitement at the news of Kelly Rowland landing a role on BET’s new series, American Soul. 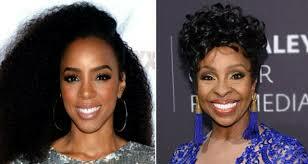 After years of fans saying that Rowland favored the “Empress of Soul”, the singer will fittingly be playing Gladys Knight. Miss Knight should definitely approve of this casting decision. Back in 2015, the legendary singer and songwriter made in clear that she wanted Rowland to play her in a biopic. Knight also took to Instagram to express the same sentiment. Rowland will be featured as the icon for a multiple-episode arc. The drama series centers the story of Don Cornelius’ life and the show Soul Train. Will you be tuning in?